call me maybe. stencil. mesquite. always forever. abraham lincoln. hobo. respective. riddle. eccentric. green surf. I can't get enough of fonts, especially free fonts! Amiright? Who's with me? 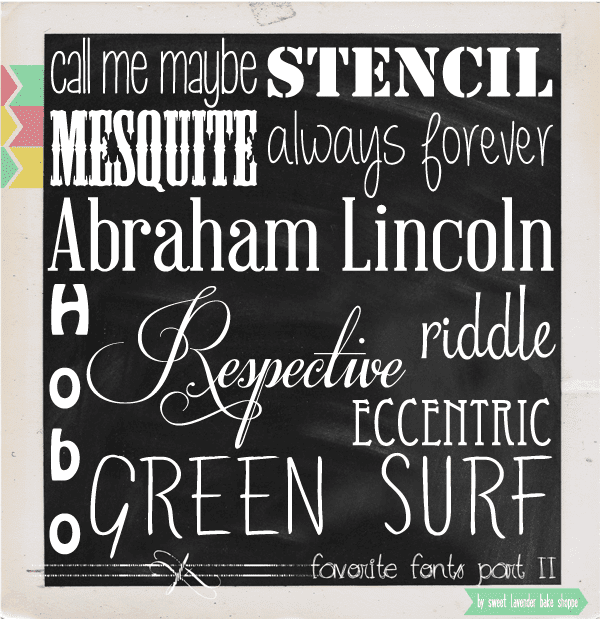 Here's a little collection of some fonts I'm totally diggin' right now! Enjoy!